Affirmative action programs are being blamed for “reverse discrimination.” Police homicides of black males are spiraling upward. Poverty remains concentrated in black urban areas and the prisons hold overwhelming numbers of blacks. Faced with such social realities, blacks have begun to call for a new Civil Rights Movement. By the way, all this is taking place in Brazil. Last month, Howard University students and members of the Washington, D.C., community packed a room at the school’s Ralph J. Bunche International Affairs Center to hear a panel of Afro-Brazilians voice their unique “African American” experience in their South American home country. The panel was made up of four Brazilian students studying in the United States through the U.S. State Department-funded “Race, Development and Social Inequality” consortium exchange program. They presented research papers on the past and present struggles of blacks in Brazil. The event commemorated “Black Consciousness Day,” an annual holiday that is celebrated in Brazil on November 20. The public holiday pays tribute to an African ancestor, Zumbi dos Palmares, revered by blacks in the country for his fierce resistance to slavery in the 17th century. The day was consciously chosen to symbolize the ongoing struggles of blacks to achieve social and economic equality in Brazil. This came as news to many of the audience members who had long been fed the myth that Brazil was a non-racial society. Rosana Chagas, one of the presenters, said that such misinformation was her motivation for coming. “The racial situation in Brazil is difficult for black people. We lack jobs, adequate housing, and the poverty rates are tremendous.” She emphatically stressed during her presentation that there are two Brazils: one black, one white. Brazil has the largest population of people of African descent outside of the African continent. It is speculated that 40 percent of Africans taken from the continent during the trans-Atlantic slave trade was deposited in Brazil. The country has the second largest African population outside of Nigeria. This depiction however, contrasts sharply with the Brazilian Census Bureau who puts the black population in Brazil at six percent and the “brown” population – mixed and aboriginal – at 40 percent. Chagas warned that these figures are misleading since race does not figure into many of the indexes used to chart these statistics. For instance, while one-third of the population lives under the poverty line, blacks account for 70 percent of the poor. The nation’s census avoids this by looking at poverty strictly through an economic lens of rich and poor, removing race from consideration. This perspective persisted unchallenged up to the 1960s. Tulio Augosto Cutodio, from the Universidade de Sao Paulo, reminded the audience that Brazil was viewed as either a “white” or a multiracial country prior to the 1960s. The “white” view held that Brazilian culture was at its core “white” and blacks would eventually assimilate into the purportedly superior way of life. The multiracial view, championed by Brazilian sociologist Gilberto Freye, asserted that the country essentially shared the same culture and, therefore, race was irrelevant. It was in the 1960s that black radical thinkers such as Abdias de Nascimento and Guerreiro Ramos forcefully challenged these ingrained notions, asserting that blackness must be accepted as a social fact. They boldly linked the ravages of slavery in Brazil to contemporary struggles, obliging the state to acknowledge the continued effects of the institution on race relations. 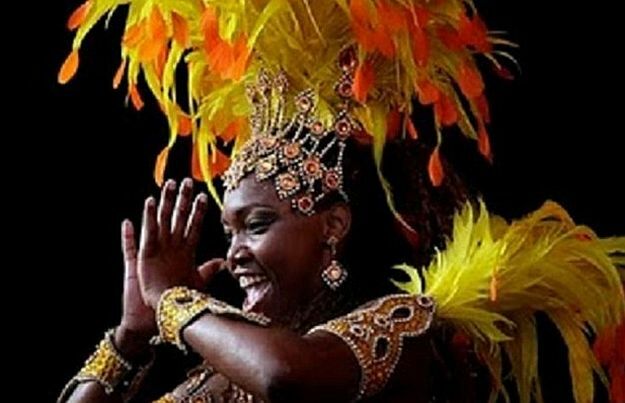 Through collective efforts from the Afro-Brazilian community, the government has been forced to take notice. In 2003, the president of Brazil, Lula da Silva, created a Secretariat for Racial Equality to track and eradicate injustices and inequalities. Though the position marked a significant turning point in Brazil’s social history, the struggle is far from over. Arivaldo de Souza, from the Universidade Federal da Bahia, explained that while the Constitution ensures equality for all of its citizens, blacks’ fundamental rights are violated regularly, especially by the police force. Souza went on to explain that the touted affirmative action program has done more for European immigrant groups and women then it has for its intended group, Afro-Brazilians, an irony that was not lost on African Americans who have witnessed similar occurrences in the United States. The respective histories of African Americans and Afro-Brazilians are strikingly similar, beginning with places of origin. Many of the Africans who arrived in both countries during the trans-Atlantic slave trade came from the Central African region (today’s Democratic Republic of the Congo and Angola). Scholars have long suspected that kinship ties between the two African-descended communities are incredibly strong. The language difference between the English-speaking U.S. and Portuguese-speaking Brazil has been a solid barrier to further exploring such connections. As events similar to the discussion allow for greater cross-cultural interaction, people of color in both countries may become more aware of each other.